weekend). Five of the Island’s very fine Brass Bands will be playing in rotation in 5 locations throughout the Village, at The Mines Tavern, The Bridge Inn, The Queen’s Hotel & the Laxey Glen Pavilion. 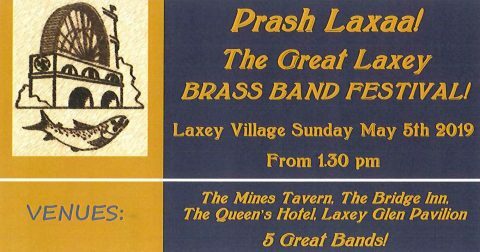 Last year’s event was greatly enjoyed by the Bands and Public alike, making for an excellent day out in Laxey. Great Music! Great refreshments in the pubs and cafes – a great free show! Don’t miss it! 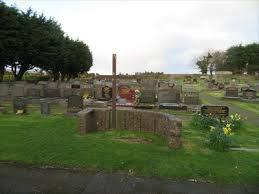 The Commissioners have Resolved to enter into initial discussions with the Church Authorities in regard to the feasibility of the transfer of responsibilities for the Lonan Burial Authority to the Local Authority. The discussions are in their very early stages and include detailed investigation of the administration and maintenance of the Burial Ground. Updates will be released on this website as more information becomes available. The Commissioners welcome comment on these matters via email to garff@manx.net or in writing to Commissioners’ Offices, 35 New Road Laxey IM4 7BG. The Commissioners are encouraging all five candidates in the forthcoming Lonan-By-election to submit their manifestos to the Commissioners’ Office as soon as possible. If all five are received they will be published on our social media sites. The Commissioners cannot publish any manifestos until all five candidates have made their submissions. Garff Commissioners have been advised that a social media site is operating with a branding title very similar to the Commissioners’ legal title as an Isle of Man Local Authority. A disclaimer is embedded deep within the site, but would appear not to be being noticed by Members of the Public. In the past this has resulted in Members of the Public contacting the Commissioners under the impression that the site has some official status and is administered by the Local Authority. This is not the case. In the interest of transparency, the Commissioners wish to distance themselves from the perception that they have any connection to the material published on this site. This site is the only web-site administered by the Commissioners. The Commissioners note that there is a Facebook site currently using the term ‘Garff Commissioners’ in its branding. In advance of the forthcoming Lonan by-Election some members of the public have contacted the office with the perception that the site is managed by or has links to this Local Authority. For clarification the Commissioners would like to advise that the site in question has no connection whatsoever to Garff Commissioners as a legal entity or indeed with the Authority’s role in the administration of the forthcoming by-election. The agenda for the meeting of the Commissioners taking place this week can be viewed by clicking on the link in the documents tab (top right of this page). Apart from the usual consideration of current planning applications, there are items on: the planning conditions which the Commissioners will request are attached to any approval of the DoI proposal for Laxey Sea and Harbour defences; the submission the Commissioners will send to DoI on public opinion in regard to these proposals; the future of the Laxey promenade beach huts; and the Glen Road Recreation Survey results. Shaping up for a busy night, any Other Business will be issued to the Commissioners and published tomorrow afternoon. The only refuse collection days affected by the Festive Season this year are Tuesday 25th December 2018 and Tuesday 1st of January 2019. 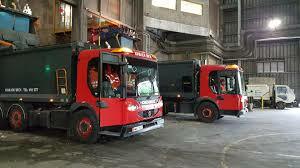 If your bin is normally collected on a Tuesday it will be collected the following day, on the Wednesday in both weeks. All other collection days remain as normal. Tuesday 25th December: No collection. Tuesday 1st January: No collections. Thursday 3rd January & beyond: Normal Service resumes. Please call the Commissioners’ Office on 861241 if any further information is required. Merry Christmas & A happy New Year from the Commissioners! A statement has been issued by the Chairman of Garff Commissioners in regard to the decision made by the Board to support the DoI’s latest application for a 650mm (2 foot, 2 inch) high wall on Laxey Promenade, as well as sea defences around the harbour. The Commissioners as a body have indicated support for the proposals, but have also been asked to report on the level of public support to the DoI- it is anticipated that the latter report will be submitted to the Department in the next seven days.